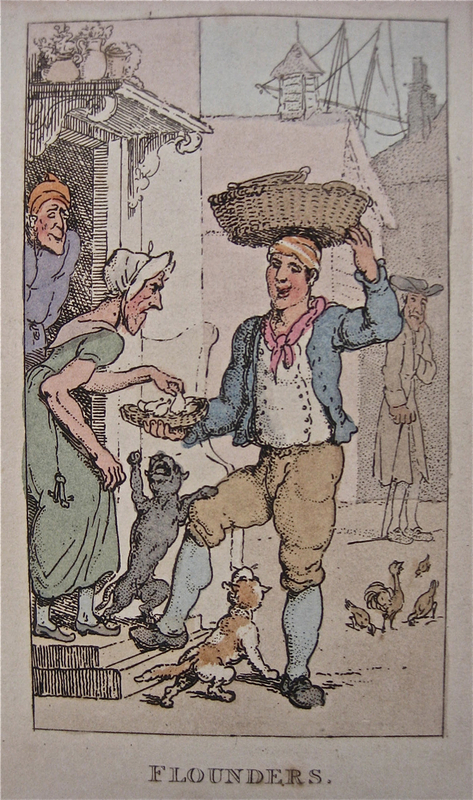 A few weeks ago I came across some examples of Thomas Rowlandson’s “Characteristic Series of the Lower Orders” from 1820, and those images compelled me to seek out more of these appealingly raucous pictures that, even though they were drawn almost two centuries ago, can still be equated with the street life of London today. 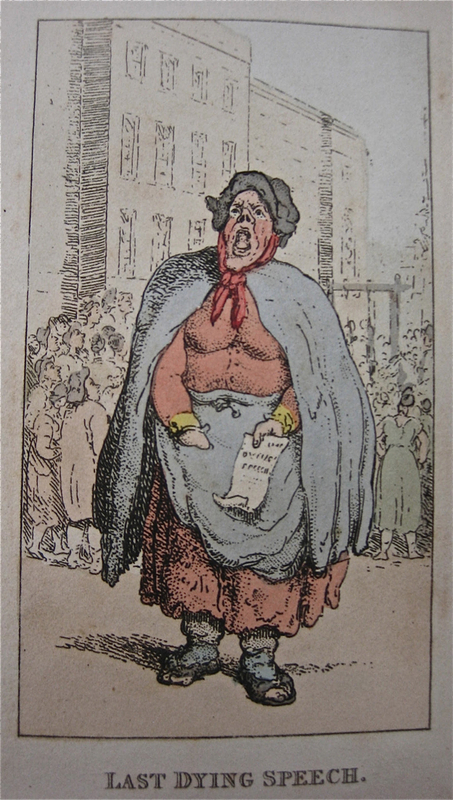 As I go wandering through Spitalfields each weekend, weaving my way through the dense crowds of tourists, hustlers, hipsters, drunks, clubbers, traders, hawkers and cool cats, I am surrounded with an intense array of human dramas to match any of Rowlandson’s observations in these pictures. 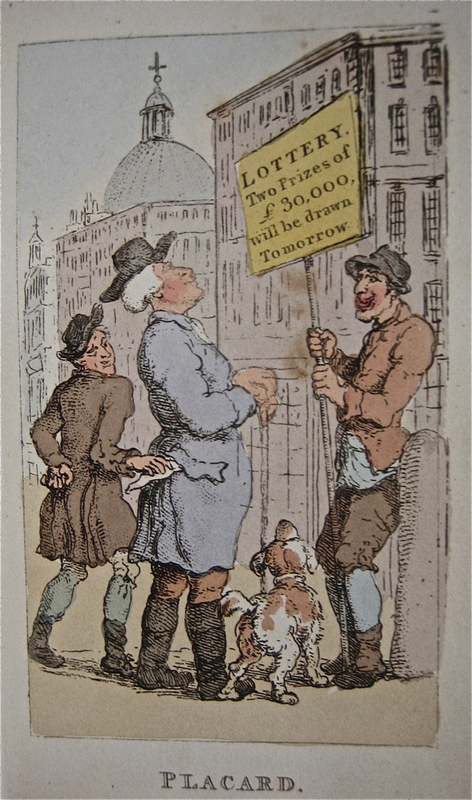 Compared with many of the other sets of Cries of London that I have enjoyed recently, these are amongst the most unflattering images of humanity. 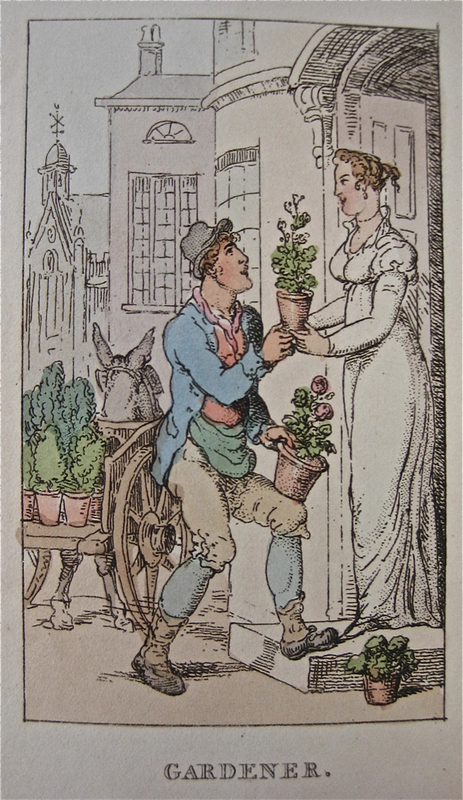 In common with those photographs which catch people off guard, with red eye or gurning, Rowlandson’s pictures do no favours for their subjects, many of whom I recognise from their more aestheticised portrayals elsewhere – like Francis Wheatley’s portrayal of his wife as a graceful lavender seller. 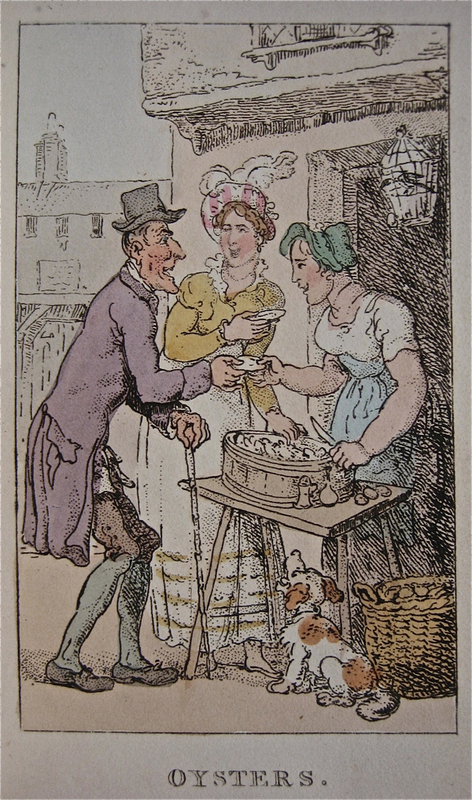 An image stylised to the sheen of a fashion plate that eventually became the illustration upon Yardley talcum powder tins in the twentieth century. 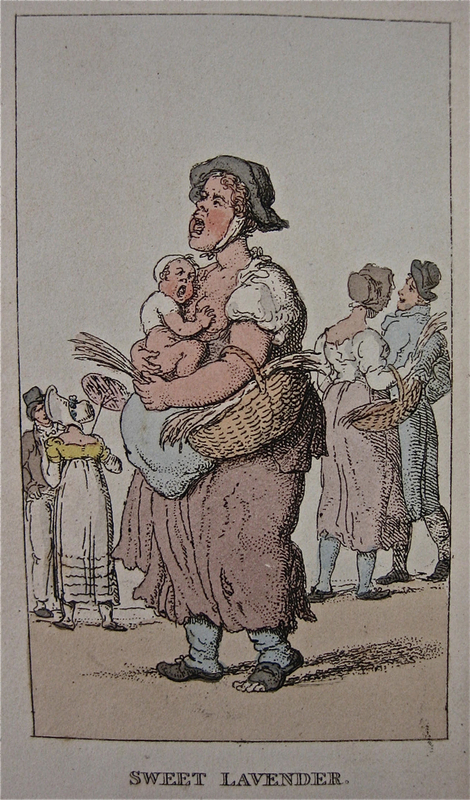 Thomas Rowlandson’s lavender seller is no fashion model and she carries a screaming baby at her breast, an image that is never going to be reprinted on a biscuit tin yet speaks more eloquently of the human condition. 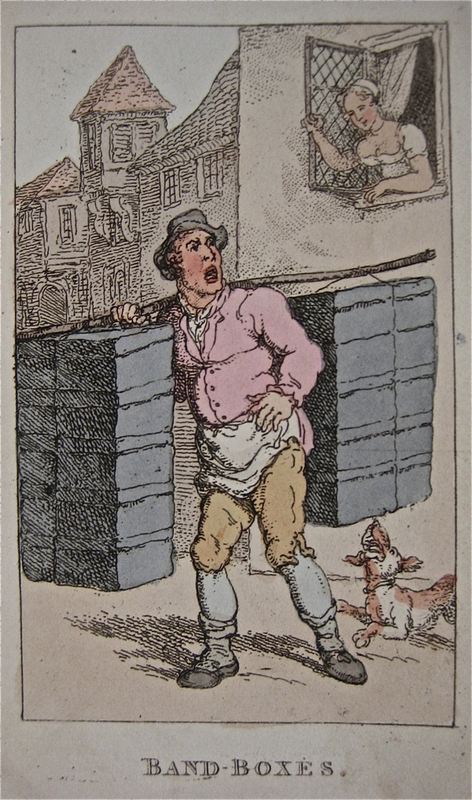 In fact, many of the plates in his series were satires upon cliches of London street life familiar to the original viewers from other contemporary prints. 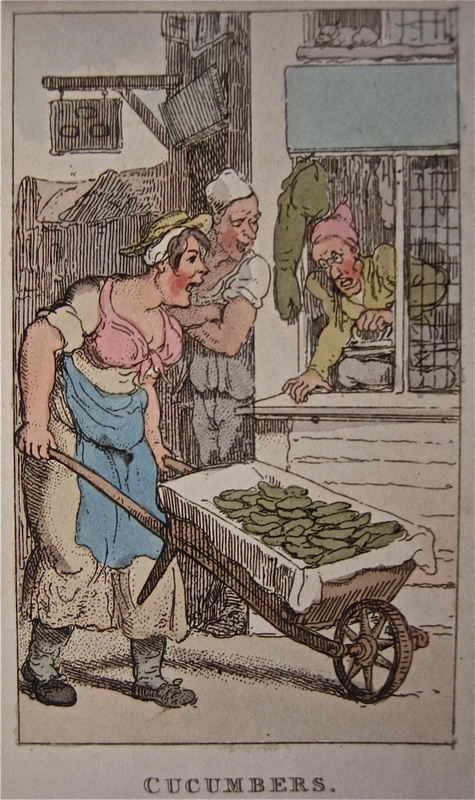 Yet there is a vibrant poetry to Thomas Rowlandson’s “Lower Orders,” transcending the Carry-On comedy stereotypes of fat ladies, nymphomaniacs, lewd codgers and young studs, because there is such wit and magnanimity in his vision that we cannot fail to to be assailed its exuberance. 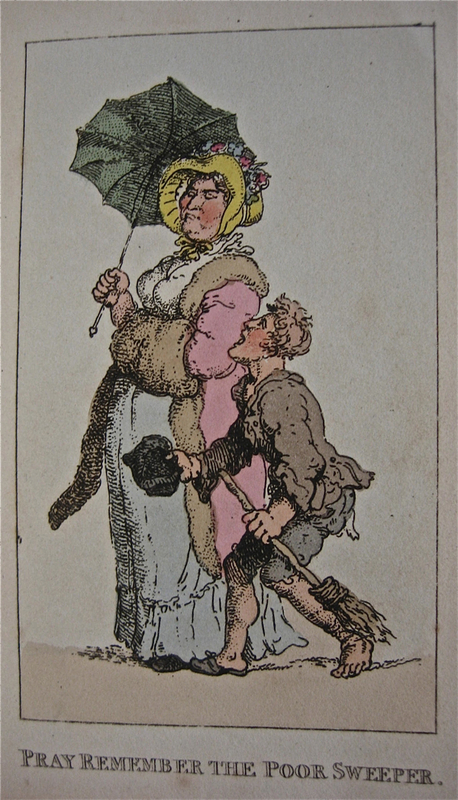 Unsentimental in the extreme, Rowlandson’s gaze is never dispassionate and frequently eroticised. 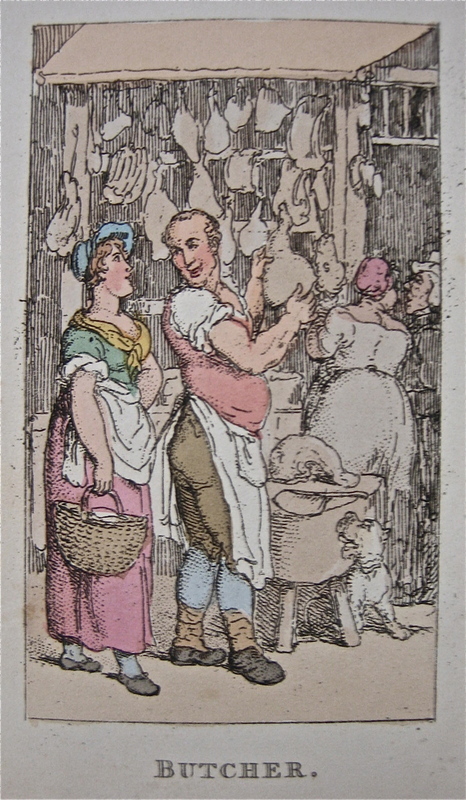 Every bun, every walnut, every cucumber, every piece of meat, every bulge and curvaceous line of the masculine and feminine body is sexualised to a degree not seen again in English art until the postcards of Donald McGill. These are such noisy pictures. 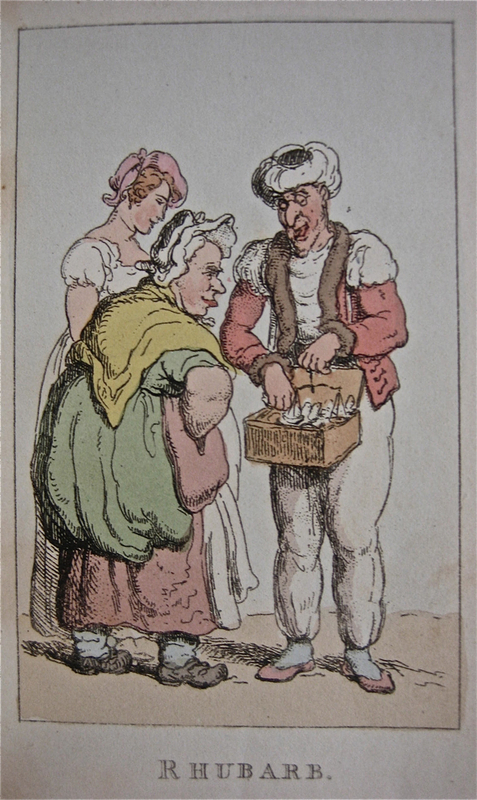 Thomas Rowlandson is a rare artist in drawing so many of his subjects with their mouths open – not only are they garrulous, they are hungry and they are needy. They possess animalistic desire charged with human intelligence and they will not shut up. 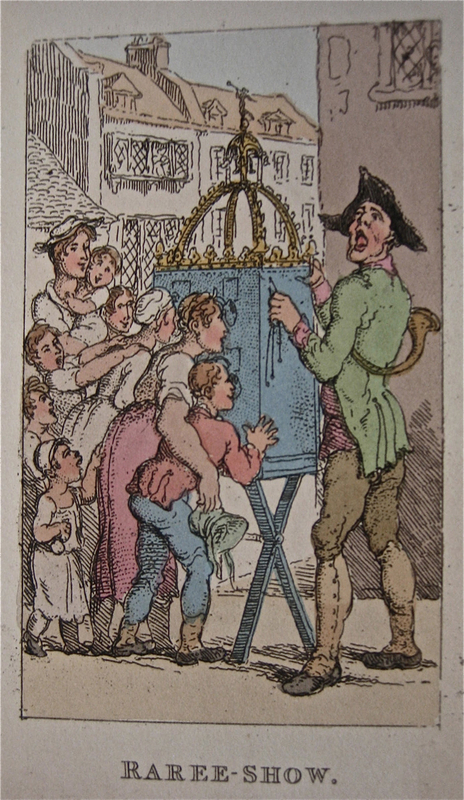 Who does not find the collective energy of humanity in London almost overwhelming sometimes – surging over London Bridge at 8:30am, crowding into Holborn station at 5pm, in Leicester Square on a Saturday night, and jostling in Brick Lane and Columbia Rd on a Sunday morning? 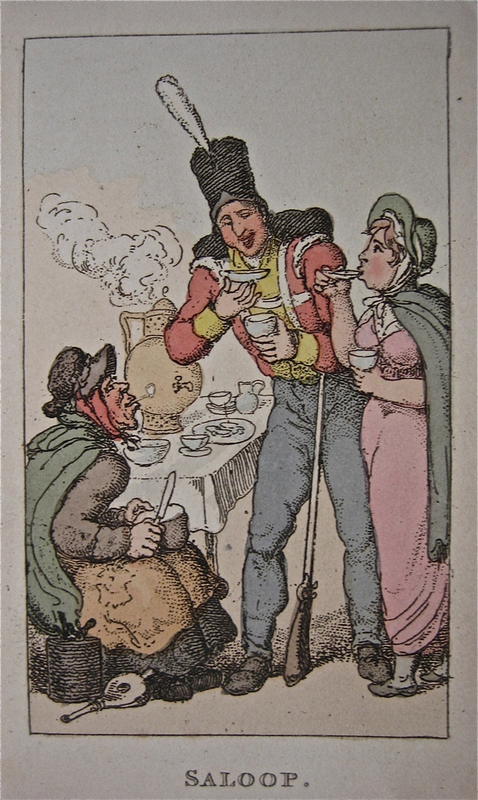 The quality of Rowlandson’s talent is that he never alienates us from his subjects. 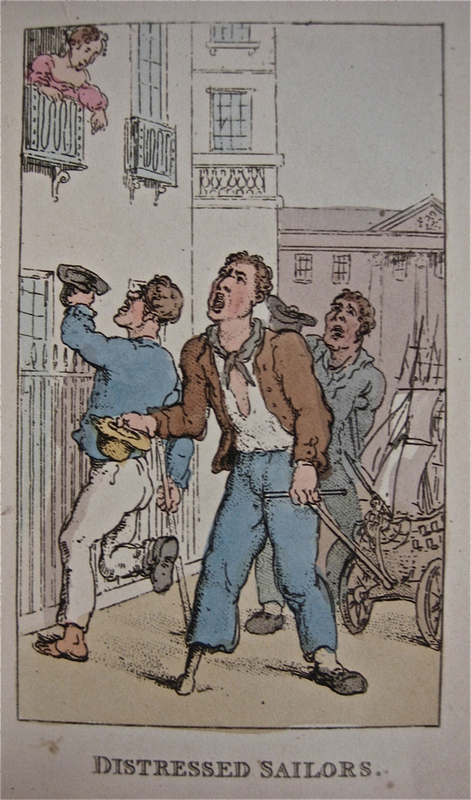 Each of his pictures evokes an engaging story and, if we are honest, we recognise our own delights and desires manifest in his oddball Londoners of 1820. 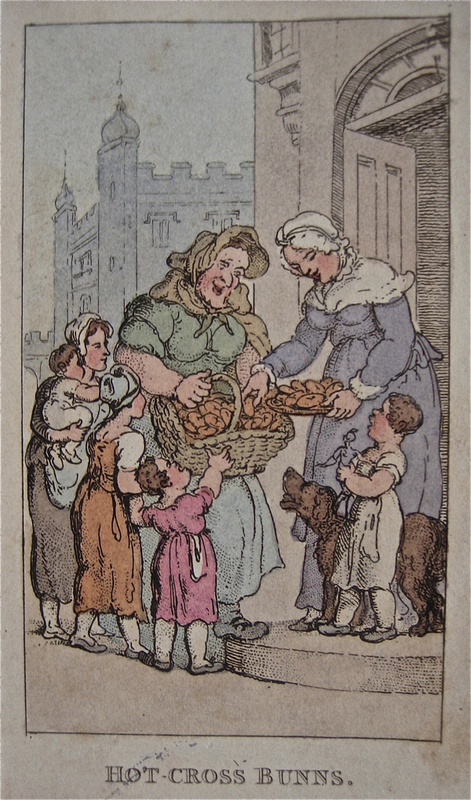 And you only have to stop in the crowd and gaze upon their successors around you in Brick Lane to discover comparable scenes today. We are these people. 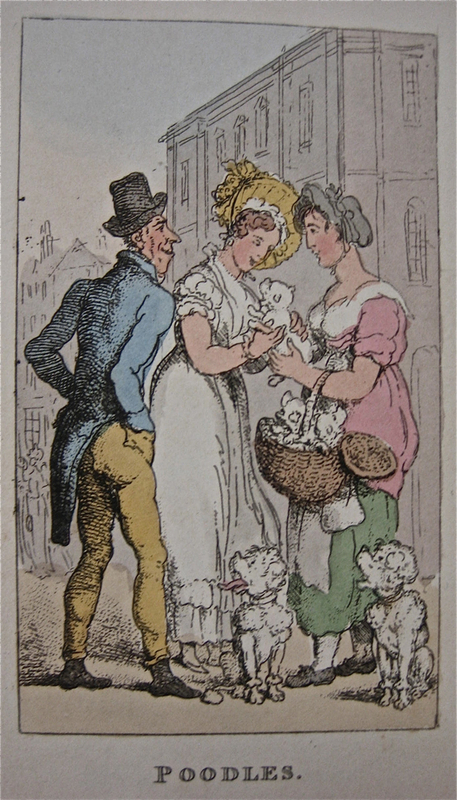 Because Thomas Rowlandson had no illusions about his subjects, he had no disillusion or cynicism either – and that is why I find his drawings to be the most endearing portrayals of London street life that I know. 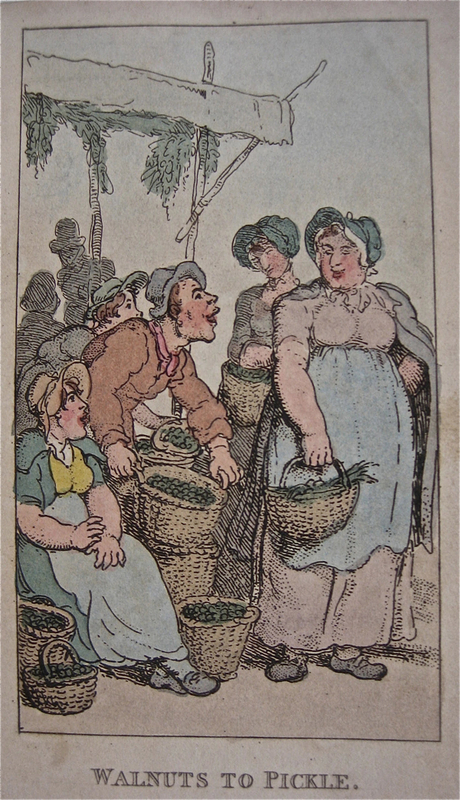 So much life captured nearly 200 yaars ago in Thomas Rolandson’s drawings! 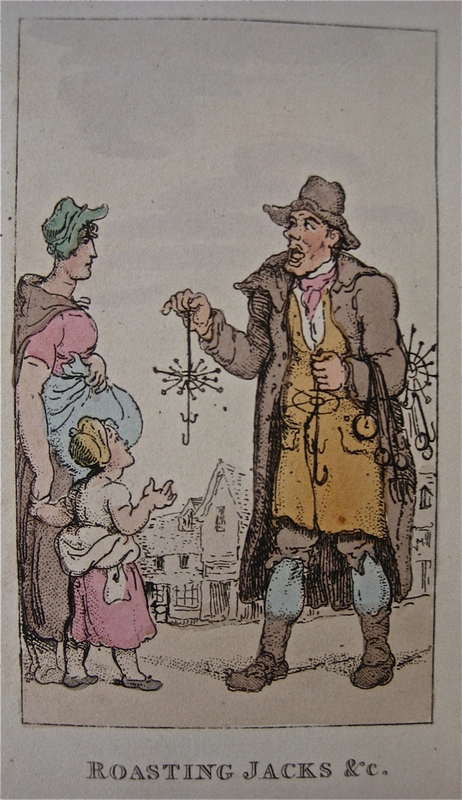 As you have so wonderfully pointed out, each character speaks clearly of today as well as yesterday. Delightful beyond compare. 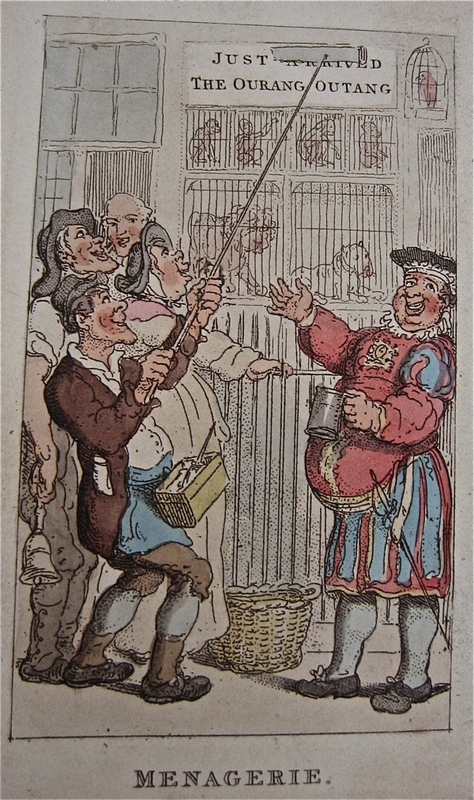 Rowladson was satirical and cynical, but he had a social conscience. 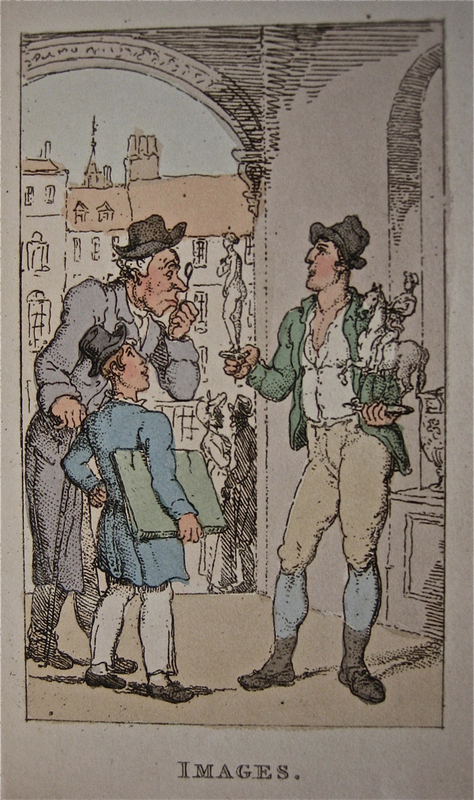 The lavender seller with the bare bottomed baby at her bare breast, toes poking from a worn out shoe… The half starved hansom driver complaining of a paltry tip as the well padded couple scurry indoors… The gentleman looking at the lottery sign while the pickpocket slides his hankerchief from his pocket and the signholder watches gleefully… Wonderful depictions of street life from the bottom up!